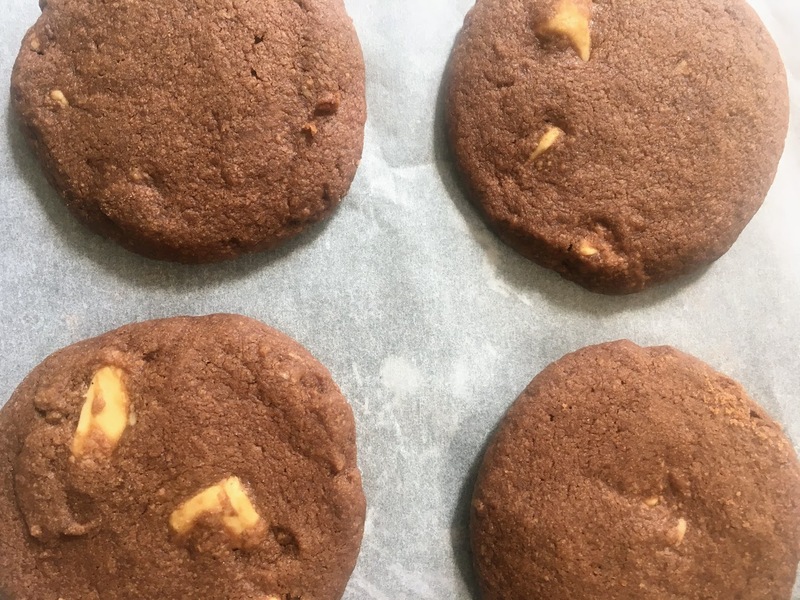 There are two kinds of chocolate in these not-too-sweet shortbread cookies: cocoa powder and white chocolate chunks. Shortbread, which has origins in Scotland, is delightfully smooth and buttery; a high ratio of butter to flour “shortens” the gluten strands in the dough, producing tender cookies. The dough is often baked as one large circle and cut into wedges, or rolled out and shaped with cookie cutters. I formed these by rolling and flattening balls of dough with my hands. A generous amount of salt brings out the flavor of both types of chocolate. For optimal results, use a high-quality white chocolate, such as Green & Black’s. Prepared in one bowl, these are perfect for last-minute weeknight baking. Preheat oven to 325 degrees F and line two baking sheets with parchment paper. In a large mixing bowl, cream together butter and sugar until smooth and light. Stir in cocoa powder and salt. Add flour, mixing until just combined. Stir in white chocolate chunks. Roll tablespoons of dough into balls and place about an inch apart on prepared baking sheet. 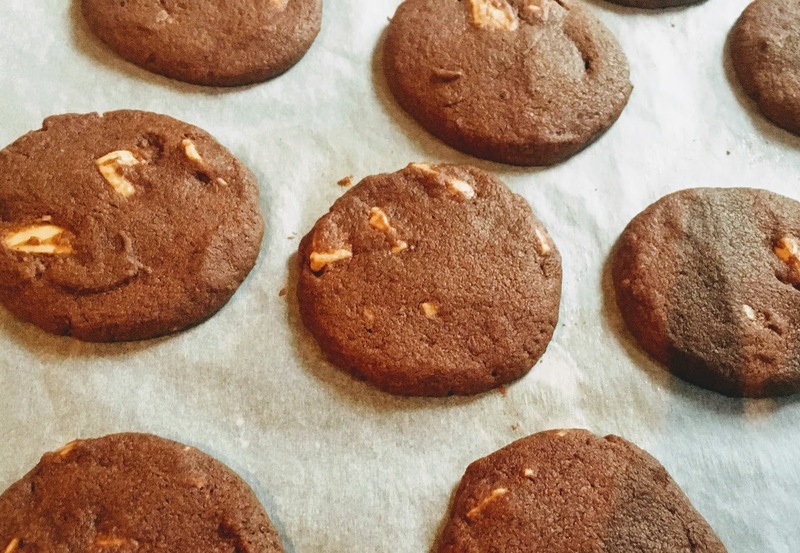 Press down with your fingers, flattening the cookies so they are around 1/4 inch thick. Bake for around 18 minutes, and set aside to cool. It can be difficult to tell when the cookies are ready, since the color doesn’t change, but you will begin to see little cracks form on the surface. Be careful not to overbake these; the cookies will be somewhat soft and crumbly straight out of the oven, but will harden as they cool. Store at room temperature in an airtight container.